Competition is pretty fierce in all crossover segments right now, but nowhere is it more competitive than the midsize area of the market. There are some great models that have been around for a while and new models coming at us from all directions, so it can be confusing to decide which one is the right one to go for. Jeep and Ford are two of the foremost brands in this important segment of the auto market, so here we're comparing the 2017 Ford Edge vs. 2017 Jeep Grand Cherokee to see which comes out on top and deserves your hard-earned money more. There are a lot of similarities between these two in this important area, as they're both among the most attractive models in their class. The thinner, more understated grille that was brought in a couple of years ago for the Jeep isn't to everyone's taste as it turns out, but it doesn't take too much away from what is a largely handsome looking vehicle. The Jeep probably has a more rugged look than the Ford, but that's perhaps more appropriate for full-size crossovers and full-blown SUVs. Midsize crossovers are unlikely to ever be called upon to stray too far from the urban jungle, so a more stylish, sophisticated and sporty look is what buyers tend to gravitate towards. The Edge is definitely the one that's sportier looking, and that's before we even get to the Edge Sport itself. It's hard to pick a winner in terms of the styling and quality of the interiors on offer here from these two, as both are probably as close to genuine luxury models as you can get without the associated price ticket, especially at the higher trim levels. However, when the amount of space available is compared the 2017 Ford Edge is a clear winner over its Jeep rival. For a start, the Ford comes with 113.9 cu-ft. of total passenger volume, and that's considerably more than the 105.4 cu-ft. the Jeep brings to the party. It's the same with headroom as there's more in the front and the back of the Ford than you get with the Grand Cherokee, and there's more front and rear legroom in the Edge as well. And no matter which way you fold the seats and where you measure from and to, the 2017 Ford Edge also gives you more cargo space than the Jeep. As spaciousness is especially important to family buyers of midsize crossovers, the Edge's more generous interior gives it the advantage here. There's an impressive lineup of engines available with both models, and the Jeep is about to offer something none of its segment rivals have right now, which is a diesel. The Jeep's standard engine is a 295 horsepower V-6 and there's also an available 5.7-liter V-8 that puts out 360 horsepower. That's all well and good if power is your primary interest, but they're not the most refined and modern engines and their fuel economy isn't going to put too many smiles on faces either. The 2017 Ford Edge, by way of contrast, is available with an impressive lineup of three modern, powerful and efficient engines. The standard engine in SE, SEL and Titanium trims is an excellent 2.0-liter EcoBoost inline-four that develops 245 horsepower and 275 lb.-ft. of torque. SEL and Titanium models offer the chance to upgrade to a 3.5-liter V-6, which then puts 280 horsepower and 250 lb.-ft. of torque at your disposal. However, go for the top-of-the-line Edge Sport model and then you get a 2.7-liter EcoBoost V-6 that produces a very useful 315 horsepower and 350 lb.-ft. of torque. Once again, fuel economy might not be a top priority for many buyers right now, especially those shopping for full-size models, but plenty of people will take it seriously with midsize crossovers like these and the Ford is a clear winner. 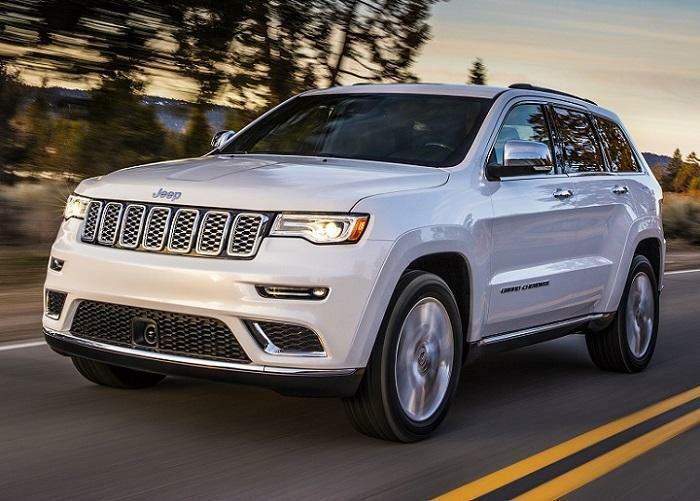 The best you can hope for from a gas Grand Cherokee comes from rear-wheel drive V-6 versions, which gets EPA-estimated ratings of 19 mpg in the city, 26 mpg on the highway and 21 mpg combined. In its 2.0-liter inline-four, front-wheel drive form the EPA rates the 2017 Ford edge at 20 mpg in the city, 29 mpg on the highway and 24 mpg combined, which will make a big difference to your running costs, especially if you do a lot of miles. There's no disputing the 2017 Jeep Grand Cherokee is a very good contender in this segment, but its ageing, thirsty engines and an less spacious interior are just some of the reasons why the 2017 Ford Edge is the better choice. 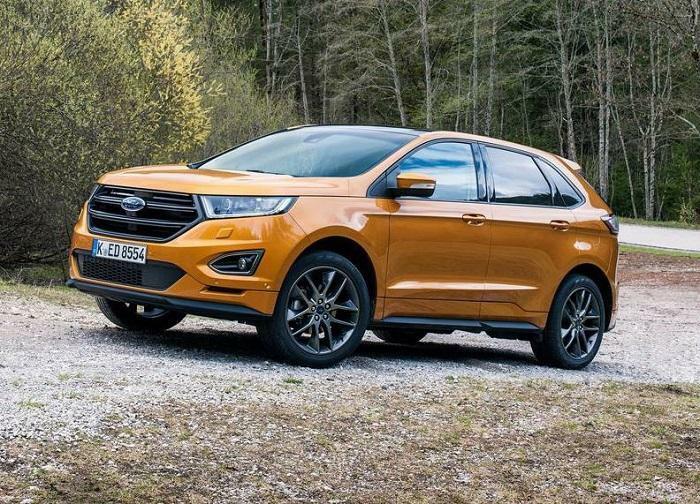 It's no surprise then that the Edge is now the latest of Ford's U.S. models to now be offered to buyers in key markets all around the world and not just here in North American anymore, even where they drive on the wrong side of the road.